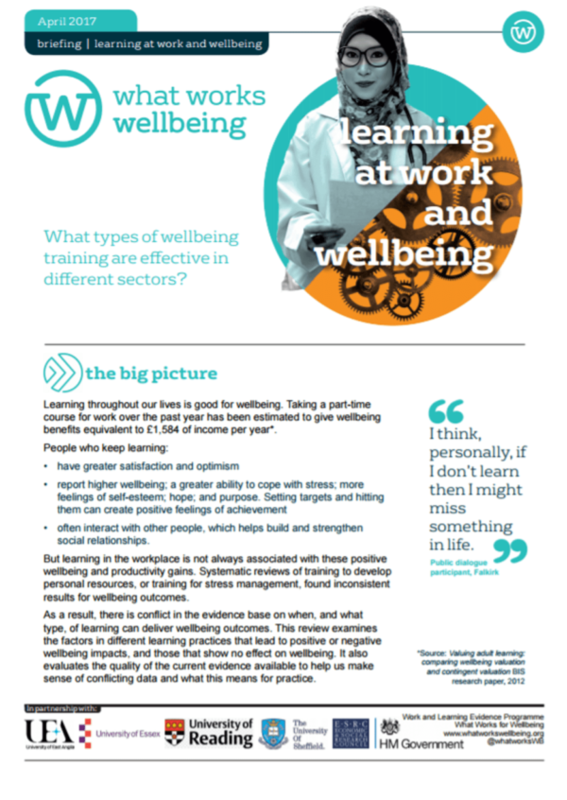 What types of wellbeing training are effective in different sectors? The study reveals that regardless of what kind of training is used, the majority of techniques had a positive impact: from mindfulness to problem solving, life skills to happiness. 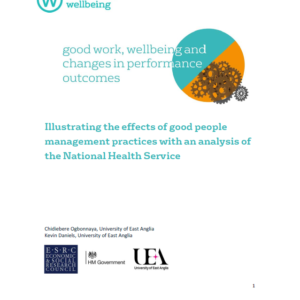 The review also found that in some sectors, training to improve professional capabilities, such as emotional intelligence or conflict management, may also have positive wellbeing benefits for the learner. However, the evidence was mainly focused in the health sector and the evidence base needs to be developed. The learning process could be the key to success. E-learning may be cost effective, but early evidence suggests that leadership or manager support training was more likely to offer wellbeing benefits when the online training included interactive elements, rather than only self-directed training. The review draws on evidence from the UK and other similar developed economies. This is the first time a systematic review has shown which types and formats of training are most effective to support wellbeing in addition to learning. The review was conducted by a team based at the Universities of East Anglia, Sheffield, Reading and Essex. 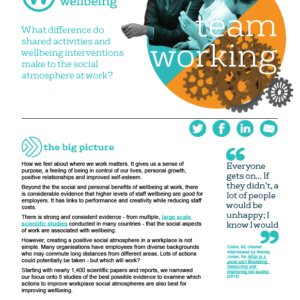 The evidence supports the effectiveness of wellbeing training. However, this is part of a more complicated picture and training employees to better cope is not the end of the story. 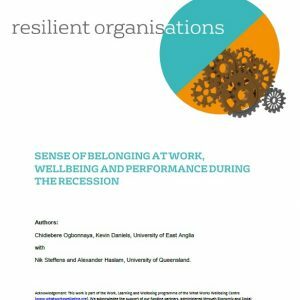 Wellbeing is also highly dependent on job quality, including autonomy and social relations, where employers should focus effort.